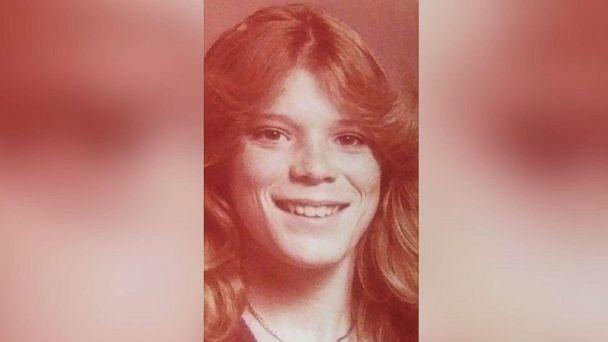 A Jane Doe found dead from a brutal attack in 1987 has finally been identified three decades later thanks to forensic technology, southern California authorities said. The identity of victim Tracey Hobson, 20, was confirmed on Tuesday through forensic odontology, which analyzes a person's bite marks, the Orange County Sheriff's Office said. The case dates back to Aug. 30, 1987, when her skeleton was recovered in a grassy area in Anaheim. She had been stabbed in the torso and her hands were cut off, the sheriff's office said, and experts at the time estimated the body had been there for about two months. But years went by without progress on the case. In 2005, Hobson's DNA profile was extracted and uploaded to California's missing persons database and the National Unidentified Persons DNA Index, the sheriff's office said. Her profile was compared to several possible people over the years, but she wasn't identified. In 2017, according to the sheriff's office, "several new likenesses" of the mysterious woman were developed in a combined effort by investigators, the National Center for Missing and Exploited Children and the National Missing and Unidentified Person System. Those images were released to the public -- still to no avail. Then, in August 2018, the sheriff's office partnered with DNA Doe Project, a non-profit that uses forensic genealogy to make identifications. The group has made six identifications since it began in 2017, according to the sheriff's office. Hobson was tentatively identified in November 2018 after DNA believed to be from a family member was submitted to the California Department of Justice -- finally leading to a match. The California Department of Justice then sent the results to Orange County coroner officials, who, per the sheriff's office, used forensic odontology to make the final confirmation. The sheriff's office said Hobson's family members have been contacted. Sheriff Don Barnes in a statement Thursday credited forensic genealogy with providing "a new tool for investigators to work cases form a different angle to bring closure to families." Now, the office is focusing on finding who killed the 20-year-old. Hobson was living in Anaheim when she disappeared. The only items found near her body were a red handkerchief and cord, authorities said. Anyone with information is asked to call Orange County Crime Stoppers at 1-855-TIP-OCCS.